Wednesday Worldly Wisdom - message from spirit. This week - What is the Divine Feminine? - Wednesday Worldly Wisdom - message from spirit. This week - What is the Divine Feminine? What is the Divine Feminine? 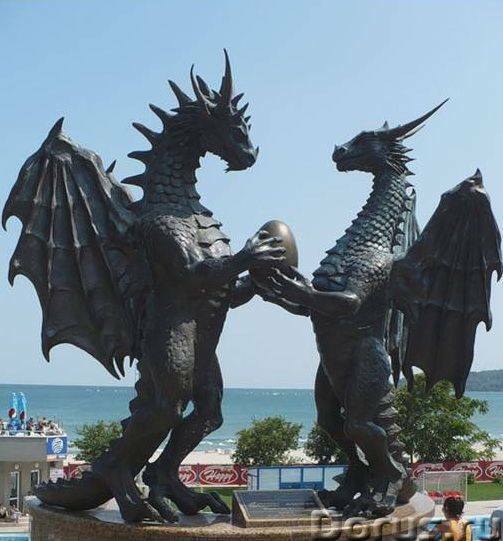 This incredible statue in Bulgaria isn’t new, but it’s doing the rounds as a representation of the male dragon handing the egg of life back to the female dragon. The Divine Feminine to rule in this new age. It took my breath away. To me, it represents the balance of these two energies that bring about a new energy – the Divine Child. An insight that was first shared with me two years ago by @Hilary Morgan of Serenity. Ever since then, my work has been focused on bringing this balance and this divine child energy in – an energy awakening within us all if we choose to receive it, and held by the baby souls waiting to arrive, and who I help guide to their awakened parents as a baby spirit communicator and journey to motherhood guide. And so, in honour of a changing world towards a more balanced, heart-centered one, here is a message I channelled from my spirit mentor Rosa on the Divine Feminine. “What is the Divine Feminine is a very good question and one which many of you are asking and one which many of you think you know the answer to. However, it is not all of the story that you are grasping here my dears, for the Divine Feminine isn’t simply talking about the women, the Divine Feminine is talking also of the man and of the birds and of the bees for it is indeed an energy, a presence, a consciousness in all and everything that you see around you and is in fact the consciousness of the very earth itself. And so do you see now the connection between the healing of the earth and the healing of yourselves? For as one heals so does the other. You always see life as one of material and matter you humans and you do not take the part or the responsibility for what that matter actually is, and that of course it is energy, simply energy. And many holes were made in the energy systems of your planet at some point in time and therefore this energy of love that had been held here for so long, not held in order to hold onto to, but held in order to have a place from which it can be shared out and seen from across the Universe was in fact taken and hoarded and drilled and turned at replicating it in other forms. And this of course was seen eventually in the ways your earth was treated physically. The matter that is made up of your earth and all the crystals and the rocks and the seeds and the plants and the very magic in the soil itself was lifted and taken and used and abused and aimed at being replicated and this is what we see is happening here on your planet today. That as the energy of the earth itself, The Divine Feminine energy of love, of provision, of wealth and of abundance, of a love which knows no depths or feels no depths because it is infinite in its expression, has been laid waste by many centuries of abuse, of greed, of those who wish to harness it and those who wish to take it and mould it into their own expression, rather than the expression of what it truly is, which is the all and everything of the all and everything. And so the Divine Feminine is an expression of love, an expression of unconditional love of which was bestowed upon the earth at the time of its creation that has slowly but surely been plagiarised, copied, taken and abused by the opposite of this expression, which is greed and anger and lack of. And do you see how this balance was tipped in favour of the opposite of this energy – the masculine? But this is not to say the masculine, the opposite is bad, but do you see that the more the Divine Feminine expression was abused and distorted, so was the Divine Masculine expression of love and honour, support and regal loyalty. And so the balance tipped in the energies for the Divine Feminine to become softer and softer and more and more vulnerable and unable to withstand the increasing distortion of the male expression which became even more fuelled by anger and ego, lack and wanting, power over rather than power with for the greater good of all. And do you see how all this happened dear Debra? The poking of the holes into the Divine Feminine as she gave and gave and gave with everything she has out of a sense of wholeness, of strength of loving and of joy, only to have that quelled and questioned and taken by those who felt that it was unfair that one should have it and not all. Not realising that they did all indeed have it, but it was their own distorted ego who felt that it did not. And I am hoping this makes sense to you my dearest Debra for it is a level of understanding that perhaps goes back to the many times before now when deep inside the earth you were the one who indeed was able to keep this flame of love alive in everyone and everything. And now it is so again and you will again see the light of Lemuria rising high above the shadows of the distortion that has taken place over the many lifetimes you have lived. For the flame is now once again lit and the fire of the earth come alive once again to be seen by all and felt by all in order for the love to grow once again into the hearts of all men and all beings who choose to reside on this planet of yours and indeed of all life beyond the reaches of the Mother that you call earth. For this is indeed the heart of the Universe and it is time for it to be known as such once again, through all the work and all the enlightenment that is taking place on this very special planet. This planet that is made up of the very Divine Feminine consciousness itself. And as it does so, may all men, women and children feel the love and feel the effects that this infinite energy of love can bring to all and not only to a few. That there is no need for anything to be taken, no need for anyone to feel lack and no need for anyone to feel they are broken and abused and so broken and abused that they must do this back; for all they are doing is doing this to themselves in a continual cycle of hate and lack and fear. And this is a planet that once lived without fear. And this was a planet that once lived without the notion that there wasn’t more; more to come, more now, more than enough. Can any of you imagine living without this notion of lack, and instead moving into a knowing that there is plenty, that there is love, that there is infinite abundance in all of the world and all of you, because you are in fact it? The IT of the Divine Feminine who give and creates in full. And the IT of the Divine Masculine who gives and manifest in full. And the IT of the Divine Child who reaps the rewards of both by living in total and actual harmony with themselves and the world. Both the action takers and the love givers. The manifesters and the receivers. The creators and the lovers of those creations, for you are all my dears, the all and everything of the all and everything and this is who you are, it is only now as the balance begins to be tipped once again in to the favour of balance and the favour of harmony that maybe you will begin to see yourselves as such. As our Divine Children of light for whom we are too one, who have journeyed together from the earth and the seas to the rivers and the lakes, to the stars and the planets and the very Universe itself in order to come to an understanding of the lessons we have all been learning. That we are not a human race, we are not an earth race, we are a race beyond race, a being beyond being, an entity, an imagination, an air of breath of the very Divine itself. Nothing more, nothing less and it is time now for the Divine to know itself as all of things, having learnt its very many lessons of what it is not along the way.